“Attiullah wa atee ar Rasul wa olul amrin minkum,” That from Allah’s order for us to obey the Divinely Presence, to obey Prophet ﷺ and to follow and understand the olul amr (those in authority) to the best of our ability. 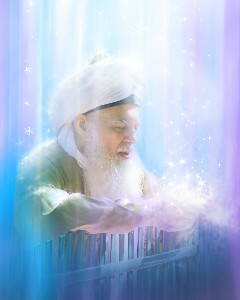 Alhamdulillah, from Mawlana Shaykh’s oceans are amazing realities and teachings. 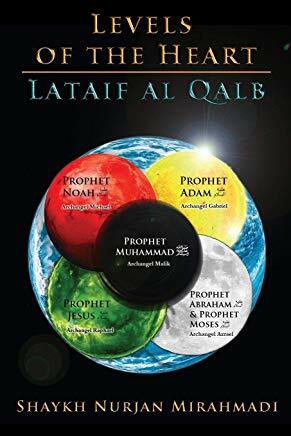 When we compare to other oceans and other teachings, majority of which now are basically translators; they translate the Arabic into English and they leave it at that. They saw the Arabic, they recite the English for you and [they say], SubhanAllah. 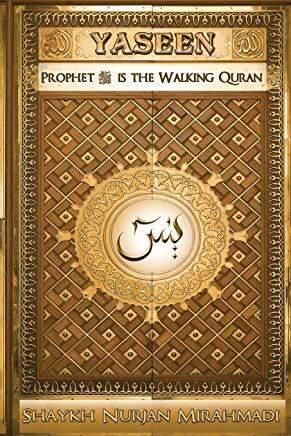 It is amazing, because the words of Prophet ﷺ are amazing, no doubt. But nothing was taught from it. Its realities were not brought out. 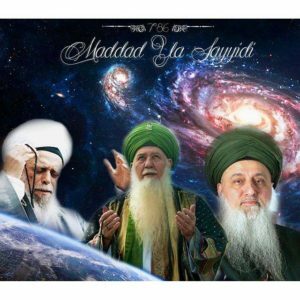 From Mawlana Shaykh’s oceans, Mawlana Shaykh’s heart and connection to the heart of Sayyidina Muhammad ﷺ, we pray that Allah (AJ) allow us all to drink from that, to take from that. And that is the oceans of Awliyaullah (saints). Awliya come into our lives and they teach us: the secret is in the food. The associations from the sunnah of Sayyidina Muhammad ﷺ, the sunnah of all the prophets of Allah: the secret is in the food. The food and the drink and everything that partakes in their presence. And they take from the secrets of Holy Qur’an. 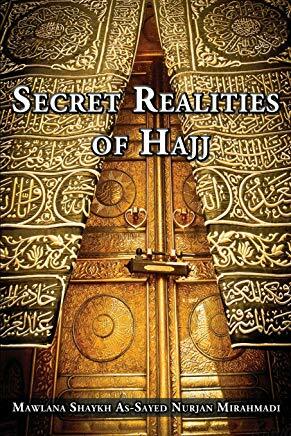 One understanding of that secret is from Surat al-Insan, that the 76th surah, verses 8 and 9 (Quran 76:8-9). Surat al-Insan because it’s coming from Insan al-Kamil, the perfected insan, the perfected being, which is the reality of Sayyidina Muhammad ﷺ. Means these are from the oceans of perfection. Not the understanding for common, but from the oceans of perfection, from maqam al-ihsan (state of perfection) and perfected souls. What they take from Prophet ﷺ of realities, they are teaching from those realities. Then Allah clarifies: “They love their food” and they feed. They feed the miskeen (poor), the feed the yateem (orphans), and the Asir, the captive. And these 3 categories of creation that eat from that table and eat from that reality. Then Allah in the next verse clarifies, “They do all of that for the sake of Allah and they don’t need any reward or recompense from people.” it means they are not doing it for people. They are not doing it to be rewarded and sustaining themselves from the reward of people. The guides describe from that reality of the dress of their soul, they feed people. If they are ascetic and the people who left the desire of dunya (material world), then it’s not only talking about the physical food. They are not going around looking to buy pizza and to give to people. 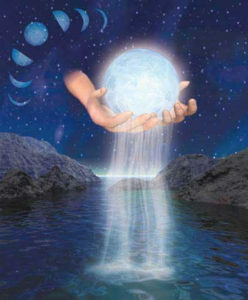 But through a spiritual reality, they have to reach to your physical means. Means through the physical way of cause and effect, we must take something within our self, to be dressed from something that we cannot see. They teach us: they feed you from their food. 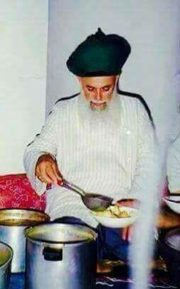 Alhamdulillah Mawlana Shaykh’s understandings and oceans of teachings for our hearts is that: you use the food but it’s their sustenance in which they feed you from. 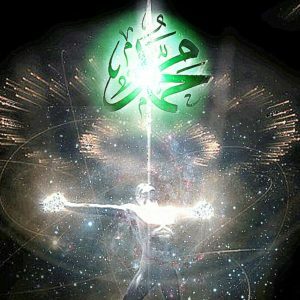 Means the ni’mat and the light and the energies, the realities that Allah (AJ) sustaining them. There is 2 sustenances: the sustenance of the body and the sustenance of the soul. We use the sustenance of the body for our physical nourishment. Through that means, they will bring that ni’mat and that barakah. Means then at the higher level, they are not using the food as a blessing for food, but through the realities that are dressing their soul, they put those lights into your sustenance, which is the food. The food holds its reality, holds its secrets and through those realities and through those secrets, it begins to dress the soul. Because the belief is that you must have a power inside for outside effect. If inside is khali, is empty, outside is finished. It’s just a, a clock with hands that are stuck and no engine that’s moving. You look and it’s always the same time. The inside must be working. The inside must have a reality. So then the heavenly beings, they are taking from their inner reality that is always in the face of Divinely Presence. From that reality is a deep reality. From their souls, they are sending out that tajalli (emanation); they send out that blessing. We pick up that blessing by means of food and drink. They have said it many times for us to understand; very few people have the ability to sit in the zikr and to be dressed by its lights. To sit in the zikr and their souls to be dressed by its lights, they don’t have the capacity within their heart to contain that; or the ego within themselves is blocking that. But where the ego is equal and is loving is in food, because the wildness and the horse of the ego, it agrees with food. So like a doctor that hides the medicine within candy, the candy of the body is ta’am, is food. So when you come to eat, that’s where Allah is hiding the secret. It’s in the food, the tajalli within the food. Now, what is the tajalli (emanations) within the food, are the malayikah. Every bite has 300 angels. Imagine then the angels of zikrullah, if you are under a majlis of zikr. Imagine the angels of Holy Qur’an, if you are under a masjid of Allah. 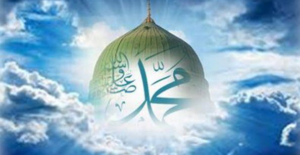 Imagine the angels of Durood-e-Shareef and salawat an-Nabiﷺ if you are under the majlis of Sali alan Nabi ﷺ, and mehfil of zikr, mafil of Duroode-e-Shareef (Prophetic Praising). Those angels are dressing the ta’am, that Allah is describing, ‘They will feed you from their food and they love their food.’ Means they are not giving you the garbage and what they don’t want; they are sharing from the ni’mat in which Allah has dressed their soul. Allah (Aj) put such an importance from these souls that they love that sustenance but, they are willing to part with it because to be of service. Their whole way and their whole life is to serve the Divinely Presence. Then what greater service than to give what was given to you? That’s why Allah clarifies then, ‘These are not the people of paid workshops, where they do what they do for money,’ but they do what they do because they are in the Divinely Face of Allah (AJ). Their soul is, is being dressed by Divinely Lights and Divinely Beauties. And that is sufficient for them. That doesn’t mean you don’t have to pay for anything; that’s a different subject. That when we give and when we support is a way of showing Allah our appreciation. But this reality, it cannot be sold. This reality cannot be based on fees. This reality can’t be where everybody pays 100 dollars to sit on the carpet and they be dressed by these blessings. These are souls that live a life of service. 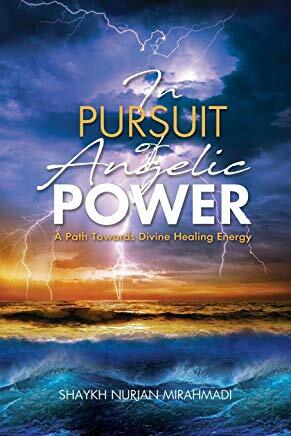 Then Allah describes that, ‘If you want to be from that table and you want that heavenly table and you want that heavenly healing, that heavenly blessing, because everything comes through Allah’s Tajalli, Allah’s Lights and Emanations. Because we lost our faith, we have to take medicines and take all sorts of external elements to regain our faith, that we will be healed. But if not for Allah’s permission, there is no medicine that can heal anything. So Allah grants the permission because the faith is weak. And when the faith is weak, we have to take an outside reminder for an inner reality, which is no problem. But Allah (AJ) is the One who is curing; Allah is the One who takes away [illness]. 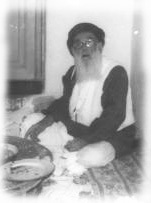 And the greater faith is to know that the real medicine is in the food and the drink of these Insan al-Kamils (perfected beings), these souls that are always in the Divinely Face. Means the category that Allah describes within our self, that make these categories within yourself so that you always see that ni’mat. That you are always seeking out that blessing. So that when you go, your radar goes on, your heart is lit, your eyes are seeing and you come and say, ‘I can feel that tajalli.‘ There are many people who come and they say they can feel the tajalli; (emanations). And there are many who come and they only have complaints because they are not from these three categories. This is the table that Sayyidina Isa (Jesus) (as) asked for, one time. This is the table of ni’mat that coming all the time for Sayyidina Muhammadﷺ and those that are in service and on the feet of Prophetﷺ from olul amrin minkum. Allah (AJ) is describing these olul amr, that the reality of their souls is that they left all that is perishable and they are moving towards the Divinely Face. As a result, they are being dressed by these emanations, blessed by these emanations. 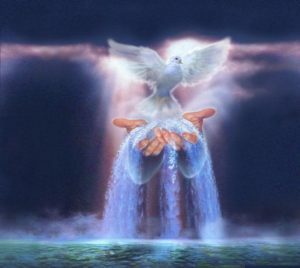 What they receive in is freely flowing out. Then you have to be miskeen, come to a realization that, ‘I’m nothing ya Rabbi, ana faqir billahi Ta’ala, Allah’s rich and I am poor.’ And miskeen is a state of consciousness. It’s not physically only the poor people on the street. But it’s a training within the self that, ‘Ya Rabbi, no matter what you bestow to me, in Your Presence I am poor. I’m always in need; I’m always nothing, I’m nothing, I’m nothing. As much as You give to me, I am still nothing ya Rabbi.’ And keep a life of humility and humbleness. Keep low to the ground and live a life of humility. Then Allah described, ‘Then you have to be yateem (orphan).’ Why yateem and the understanding of yateem is that you have to be disconnected, that an orphan from this world. And you find that many people reaching towards realities, they become unknown to the people around them and that is yateem. That in the diwan of the dood, diwan of worms, you were once known amongst all the worms. As soon as you pursue a path of realities, that worm is moving to be a caterpillar, it is moving to be something different. And all your friends complain to you that, ‘We don’t know you anymore.’ We say, ‘Well how can you know me when I didn’t know myself.’ And that you know then you are on the correct path. If people always know you and constantly know you, you haven’t changed. If from when I set off on my path and I was with all the worms. Worm because the half of Wadood ودود (loving) is dood دود Dood means worm in Arabic, not yet wadood. I say, ‘But I can’t eat that anymore. I can’t do those things. 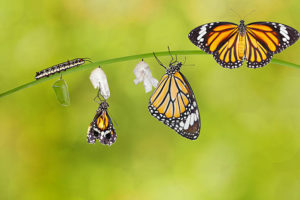 I’m trying to ascend.’ When the worm goes into a cocoon, it becomes a butterfly. And all the other worms no longer recognize that butterfly, and the butterfly can’t find the worm within itself. Means that is the change Allah (AJ) is showing throughout nature, ‘I am doing this every moment. Why has to be so ajeeb and so difficult for you to believe? Look at all of nature- how many worms I turn into butterflies. How many creations I bring back and they die and I bring back, they die and I bring back, and constantly resurrecting and bringing anew. You must cut yourself from all that is distracting of yourself and move yourself into My Divinely Presence. So then humility and to begin to understand that we have to move away from all the distractions. That seek out those that are trying to improve themselves and build themselves. Seek the association of those who are trying to build themselves, and we become yateem. Who is Abu Yateem (father of the orphan)? He is Sayyidina Muhammadﷺ. What he loved most was the support of the yateem (orphan). That he left his own example ﷺ that, ‘I was yateem.’ If you are doubting this reality is from the people of the sunnah and the people of the way, Prophetﷺ is reminding, ‘I was yateem.’ You can imitate that yateem by leaving the clicks and the groups of the people that are of no benefit to you. Move towards that reality, until you begin to be dressed by that reality, and people around you begin to say, ‘We don’t know you anymore.’ That is a good sign. Say that, ‘There is no way for you to know me when I don’t know myself; and my whole path is taking a path of trying to know myself: ‘who knows himself will know his Lord’ and who does not know himself does not know his Lord.’ So in no way can he speak for his Lord. But for you to accompany them, you need these 3 characteristics. You have to find yourself to be humble and poor. Not constantly running after money. You have to find yourself to be yateem and to cut off from all associations and all distractions in life. You say, ‘No, no I wanna keep playing with the cricket group and I don’t want to come and sit with you.’ You have to make a choice. Then you have to move into that and say, ‘Ya Rabbi, I’m, I should be like asir, a captive.’ A captive no longer has a desire and a will of his known. Allah (AJ) begin to describe the reality of tasleem and submission. Because you can’t sit at the table and constantly comment in the table, ‘Why you don’t have like this? Why you don’t have like that? Why you don’t have this flavour? Why you don’t have the salt that I like? How come you don’t have the rice that I like? How come you don’t have…?’ What kind of a captive were you?! That is a very opinionated captive; but that’s not the reality of captive. Your first position on the seat was to be poor. If you are poor, you are happy with whatever they feed you. If you are Yateem, you have nowhere to go but to sit at that table and to eat. And if you are captive, you are just grateful to be eating. Means these are the exemplary characters that Allah asking in Surat al-Insan, that you want to reach to maqam al-ihsan and to be from Insan al-Kamil, the perfected souls, then you must copy these characteristics to eat from their table. Otherwise the whole time you are complaining at that table. That is the miracle of Prophet that Allah is always offering that table. That in the majlis and in the company of these olul amr, that table is spread. That table and anything you eat and drink with them is a pharmacy, it is dressed from these lights, blessed from these lights, filled with Holy Qur’an, filled with Durood-e-Shareef, filled with every reality and every light. It’s the malayikah: it’s the angels on the sustenance that dress us. And as soon as we eat, these angels, they have no ego, they say, ‘Ameen‘. Whatever the zikr, whatever the salawat, whatever the du’a was, the angel of that sustenance that holds everything together are malayikah– those angels say, ‘Ameen‘. And from power of Holy Qur’an, Allah opens for them that, ‘These are from the ta’am of the olul amr. Grant whatever they want into that food and dress My Sustenance and bless My Sustenance to dress their body.’ And as soon as it goes into their body, its reality is dressing the soul. You take the physicality as a nourishment but the angels begin to dress the soul of its reality. We pray that these realities dress us, bless us and grant us an understanding: why is there food, why is there drink, why are all of these things in the zawiya – is from that understanding, from the realities of Holy Qur’an and the way of Sayyidina Muhammadﷺ.